An extension of sprawling M3M Urbana, M3M Urbana Premium Sector 67 Gurgaon is prominently placed at the junction of sector roads off the Golf Course Extension Road. M3M Urbana Premium encompasses exceptional shopping experience, entertainment, and office spaces. It is enveloped by premium residential projects and rewarded with excellent connectivity through multiple interstate highways, international airport and metro corridor. M3M Urbana Premium draws inspiration from clean lines and sharp angles. This is guiding principle of its seamless design and connectivity with M3M Urbana. Equanimity and distinctiveness are its core elements and foundation leading to its first sketch on paper. The grand hypermarket is like a magnet to all the multinational bigwigs displaying under one roof with following footfalls. The construction of the hypermarket is designed to accommodate a multitude of customers with the provision of parking of a large number of cars in the territory of the building. 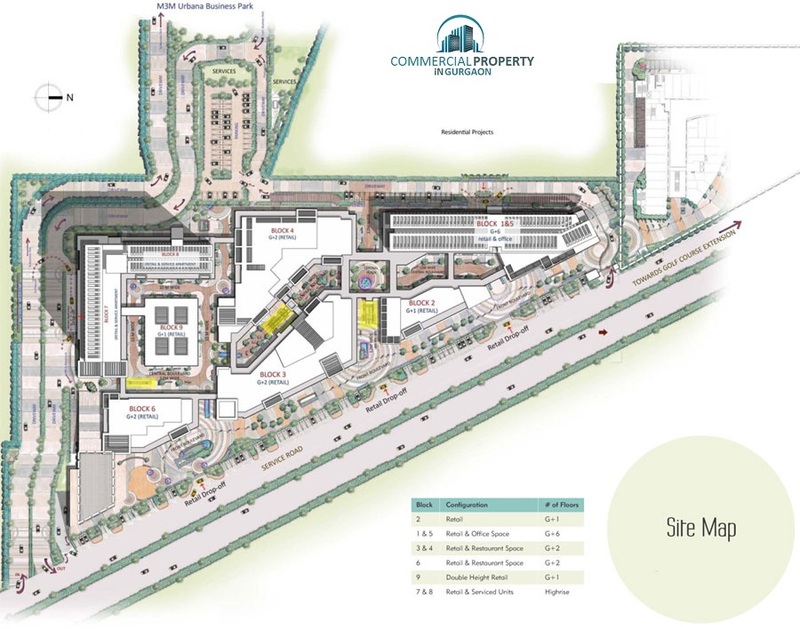 M3M Urbana Premium Retail Market includes functional areas, such as entrance areas, trade area, and others are for sale. Be ready to be deluged with big brands and retail giants rubbing shoulders for your attention. Gear up for some of the world’s largest retail tenants to anchor enormous square footage of space. The unique architecture, design and strategic location of the retail podium allow these retail giants to showcase their splendor and world class offerings. The Anchor stores most likely to take up space include well-known fashion giants catering to exquisite tastes of a customer across all ages. Enjoy Culinary Art and hospitality of fine dining with heady food concoctions, divine flavours, and luxurious serving styles that are sure to become the hallmarks of M3M Urbana Premium Gurgaon. Savour a royal bounty of special cuisines blending the freshest ingredients, original flavours, and the right etiquette. Live every moment of the magical and charismatic setting, be enchanted. M3M Urbana Premium Office Space is crafted to be the most picturesque office suites located at the pivotal road junction. The towering block comprises premium office spaces from 3rd to 12th floors, replete with top-notch specifications. With smart technology and efficiency systems in place, they epitomize the global milieu of business. Multiplex with spectacular foyer at the 2nd and 3rd floor edify the entertainment and aesthetic quotient of M3M Urbana Premium Multiplex. The architecture competes with global benchmarks in a multiplex, yet is a stand-alone marvel for movie buffs and visitors.